This year has gone by so fast, but so much has been accomplished! Thank you for your continued prayers and support during these past 2 years of ministry here in ABQ. God is truly blessing our efforts here! God has truly been at work in New Mexico “Moving the Mountains” in 2012! We are grateful for the work of Operation Rescue and the ministry at Project Defending Life. Your faithfulness and encouragement over the past two years has been a huge blessing! We also want to thank Pastor Eric Lamb and everyone from Calvary Chapel of ABQ who have stepped up in a big way in 2012. We would also like to thank Monte Harms from Stand For Life! 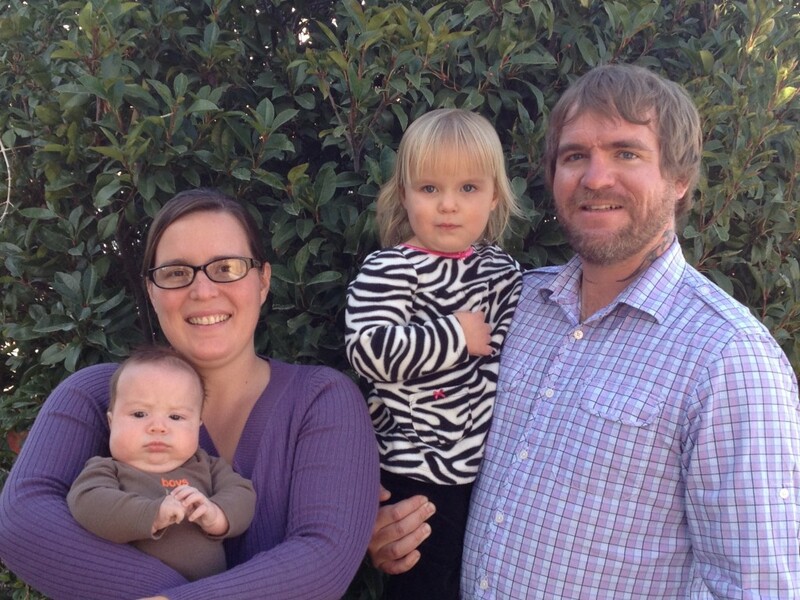 Tara and I are looking forward to all that God has in store for New Mexico in the coming year! You can purchase a one of a kind gift, the Pro-Life Perpetual calendar, “The Day You Were Born” and your purchase helps us continue our life saving work! 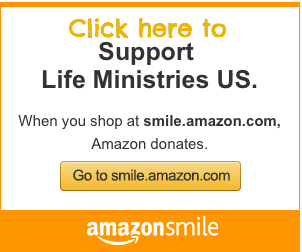 Check out this unique one of a kind Pro-Life gift here! Two years ago, Tara Shaver and I (Evangelicals) stepped out in faith to work with Project Defending Life (PDL) a Catholic Pro-Life Ministry in Albuquerque, New Mexico. The Director of PDL, Fr. Stephen Imbarrato a Roman Catholic Priest took a step of faith as well! We are told in Scripture that you can tell by the fruit borne, what is of God! Over the past two years we can say with absolute certainty that God is definitely blessing our steps of faith! 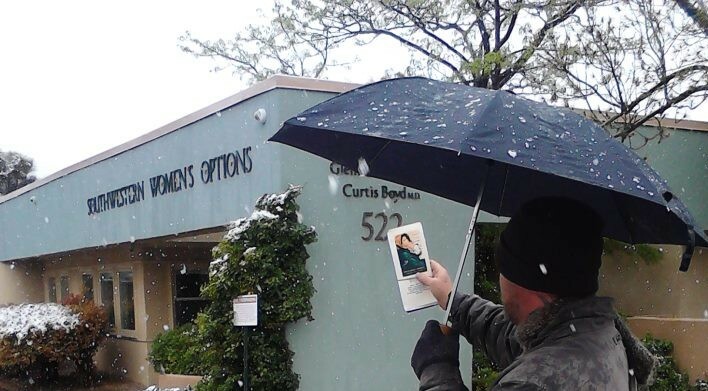 ~We maintained a peaceful, public, and prayerful presence at all three of Albuquerque, NM abortion clinics. Ministry on a sidewalk gives us the opportunity to talk with people we would otherwise never meet. Many of these conversations deal with broken people carrying heavy burdens. Some of these people confronted us as their enemies but by the grace of God, God was able to use our conversations to Make Friends With Our Enemies, Harshest Critics (Fellow Christians), and even God Haters! ~Countless babies were saved and moms helped. 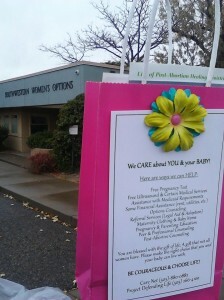 ~We helped PDL open it’s 2nd Pregnancy Help Center across from UNM abortion clinic. ~We obtained a total of 14 911 recordings, documenting serious abortion injuries. 3 were from the UNM abortion clinic, while the other 11 were from the late term clinic. ~We filed complaints with the NM Medical Board for all 14 abortion injuries. ~We met with Governor Martinez to discuss these complaints as well as abortion in NM. ~We received several tips regarding the UNM abortion clinic from a confidential informant. ~We exposed the landlord of the late term abortion clinic, Sandia Foundation. ~We exposed tax funded abortions, costing tax payers millions. ~We wrote and released an Exposé about UNM’s abortion agenda. Members of PDL, including Tara presented concerns about UNM’s abortion agenda at the UNM Board of Regents Meeting. ~Pastor Eric Lamb of the largest Christian Church in New Mexico (by attendance) Calvary of ABQ was inspired by our ministry and due to his leadership, he has held Pro-Life apologetics training classes, which has resulted in more Christians Standing For Life! ~We exposed that abortion clinics in NM operate with virtually no oversight from government agencies which places unsuspecting women’s lives at risk! Tara and I have been blessed most over the past two years by having the opportunity to learn from those who are so faithful at Project Defending Life. I love their pure and sincere faith of trusting God. Light and darkness cannot coexist! By bringing Jesus literally to the abortion clinic, they are trusting that the light of Jesus will cast out all darkness and that this will result in Planned Parenthood closing its doors for good! May we all be encouraged to live out our faith in such a way that God will receive all Glory and God’s will be accomplished today in our communities! May we all take bold steps of faith to do what we can to end abortion by stepping out with faith, hope, and love.